Welcome to 12 Back Bay Drive. 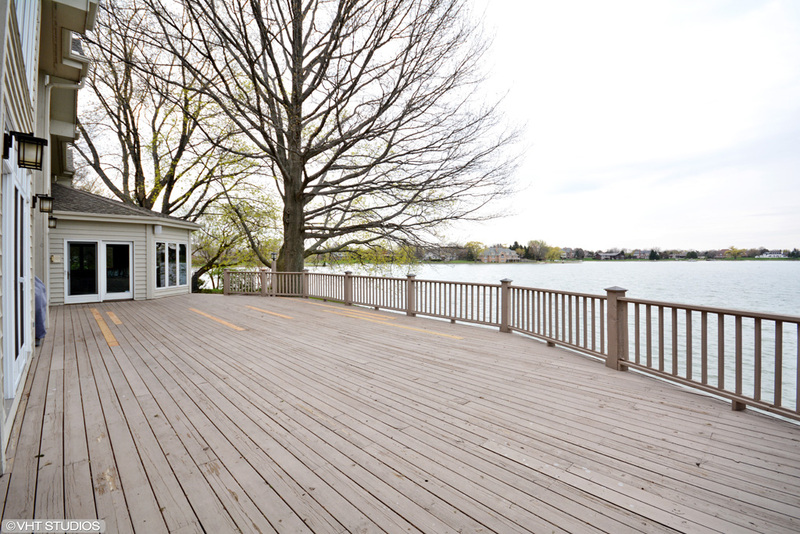 You’ll fall in love with the serenity and privacy of this spacious lakefront home, perfect for entertaining. 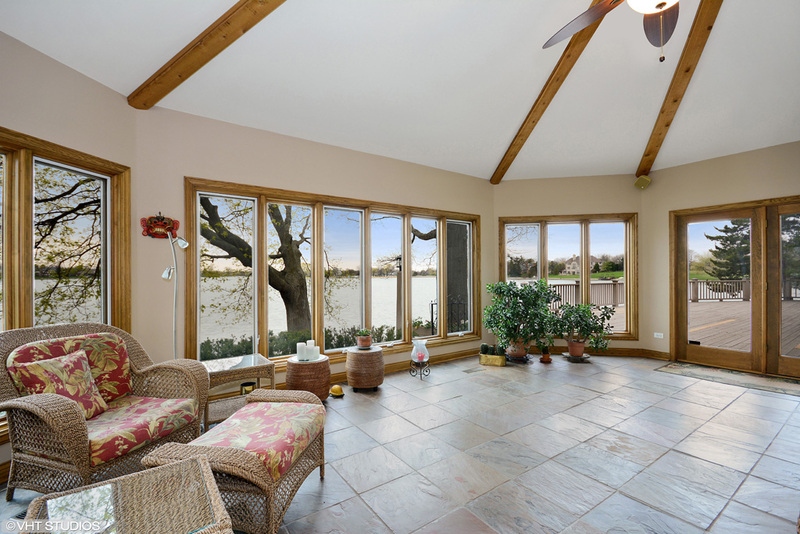 Expertly sited by its architects to make you feel as though you’re literally on the water, this beautifully expanded and updated home features the most wonderful and relaxing views in all of South Barrington. 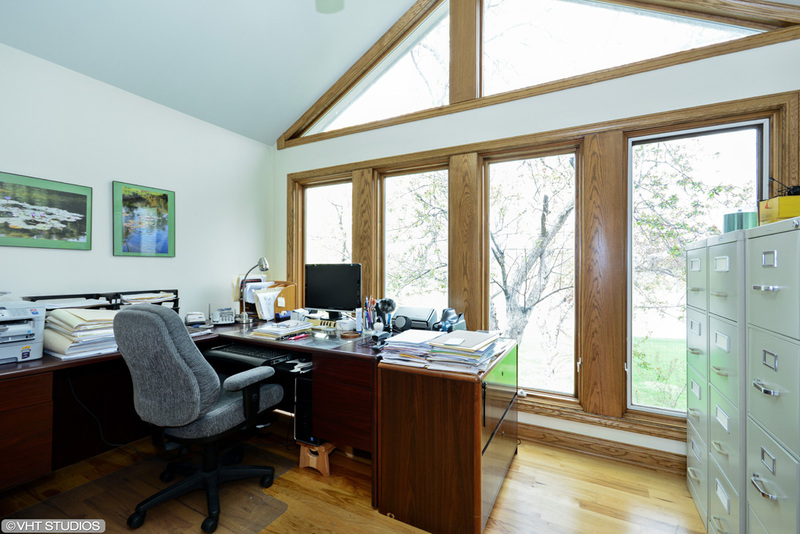 As you drive up, you’ll immediately notice that the home isn’t just at the end of a cul-de-sac, but is situated on its own private peninsula on Coves Lake, the tranquil waters cradling the property on three sides. 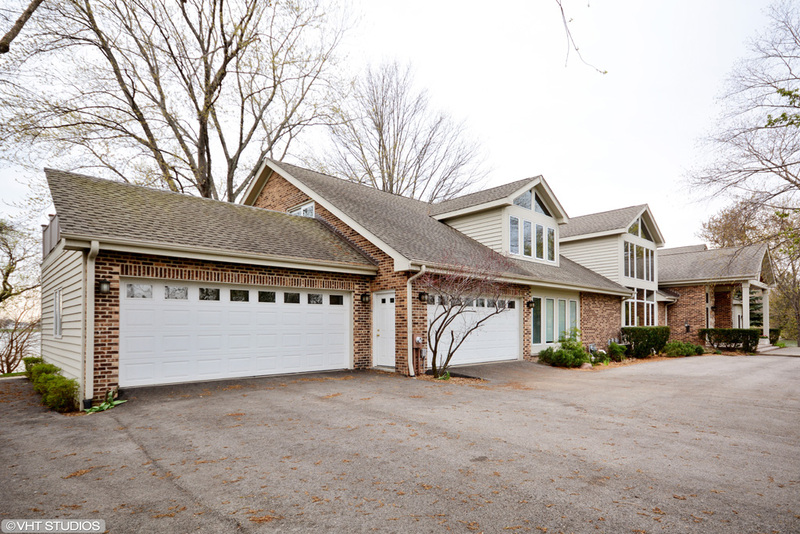 Next you’ll receive your first clue that this is the perfect house for entertaining, as you park in the ample driveway with space for numerous vehicles. 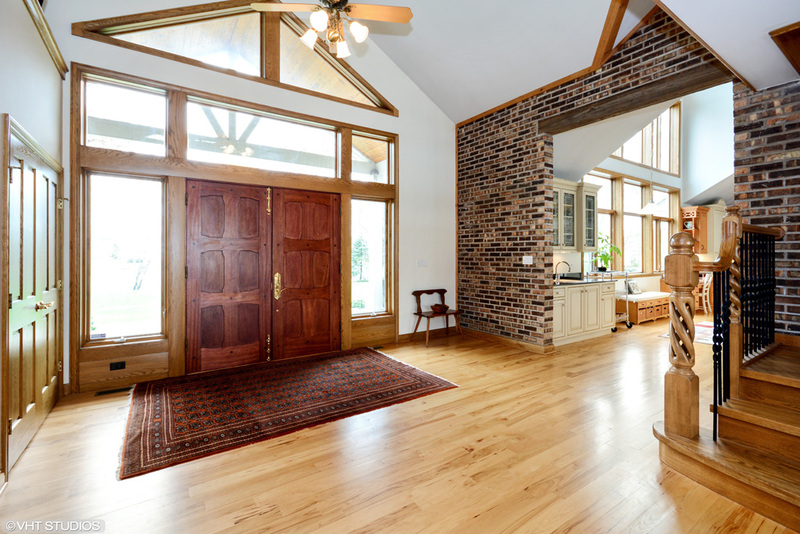 Upon entering, you’ll be welcomed by natural light pouring through the many expansive windows into the home’s open spaces, reflecting off the beautiful hickory floors. 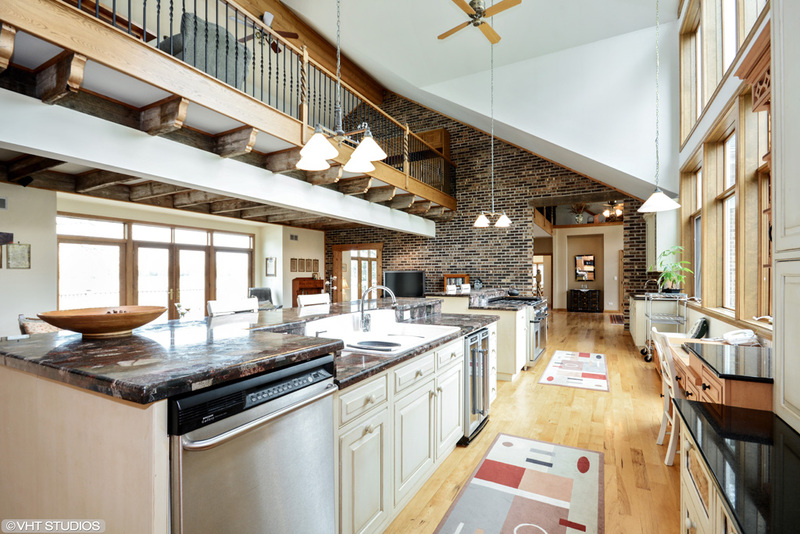 Prepare to be wowed by this kitchen! Whether you’re fixing a quick snack or cooking a gourmet feast for a large party, the kitchen’s many thoughtful design elements and amenities are here to serve you: Dual, large granite islands with pullouts in the antiqued cabinetry, double-oven Dacor range with six burners, elevated dishwasher for easy access, wine cooler, Sub-Zero built-in refrigerator / freezer, and seemingly endless storage. 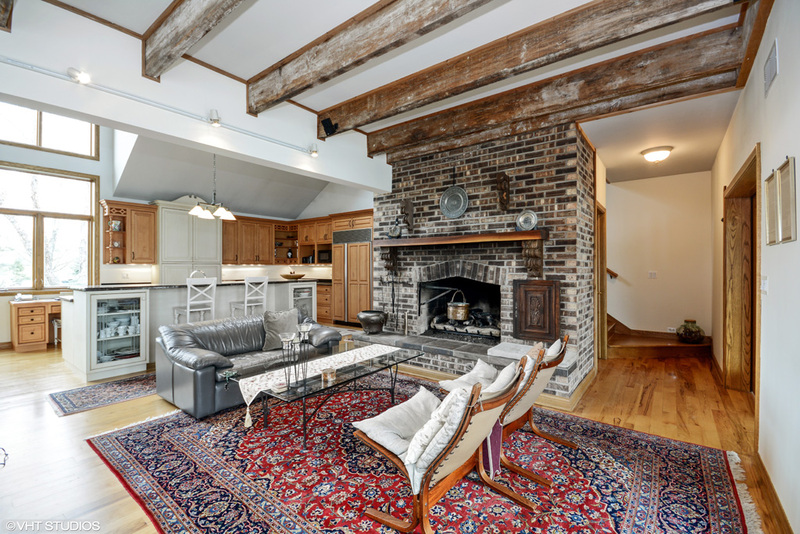 The kitchen flows into the great room, with its tall, exposed brick fireplace, chimney wall and wood beams that lend to the home’s character and charm. 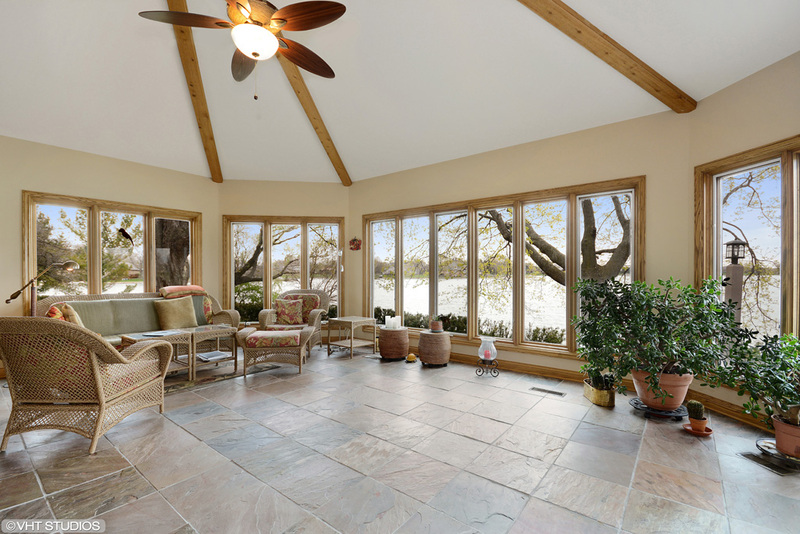 Like most rooms in the home, the family room features fantastic views out past the deck onto Coves Lake as it stretches back away from the home toward the horizon. 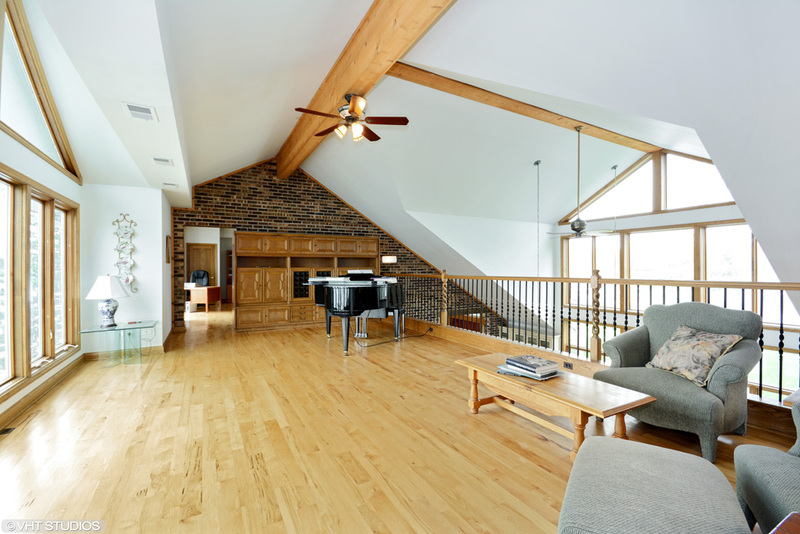 Next, step down into the sun room and relax to your favorite music on the included multi-room sound system. 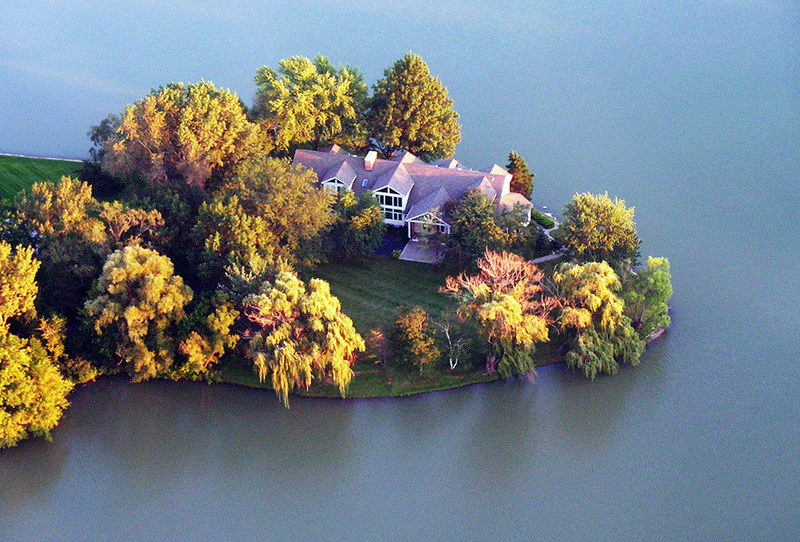 Situated at an ideal height and distance from the water’s edge, you may feel more like you’re on a boat on the lake than in your home! 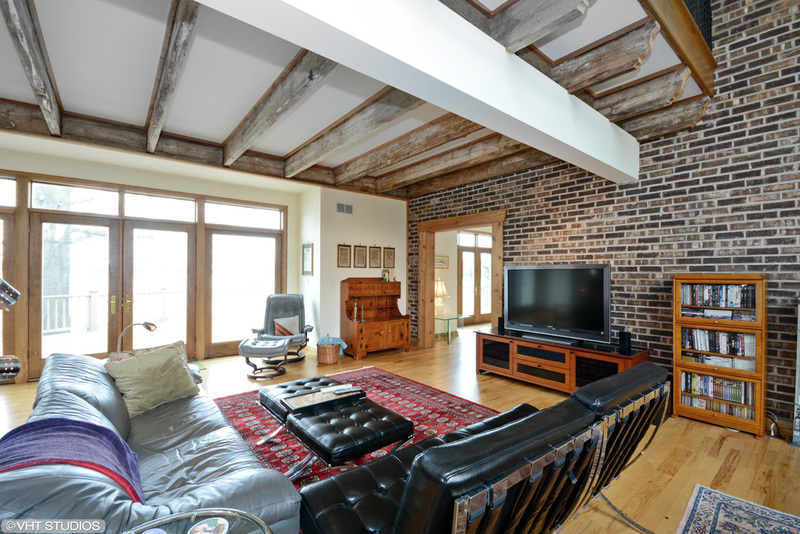 On the opposite side of the family room past another exposed brick wall, the dining area offers a slightly more intimate, formal space with its own bank of windows granting visions of the setting sun reflecting off the water. 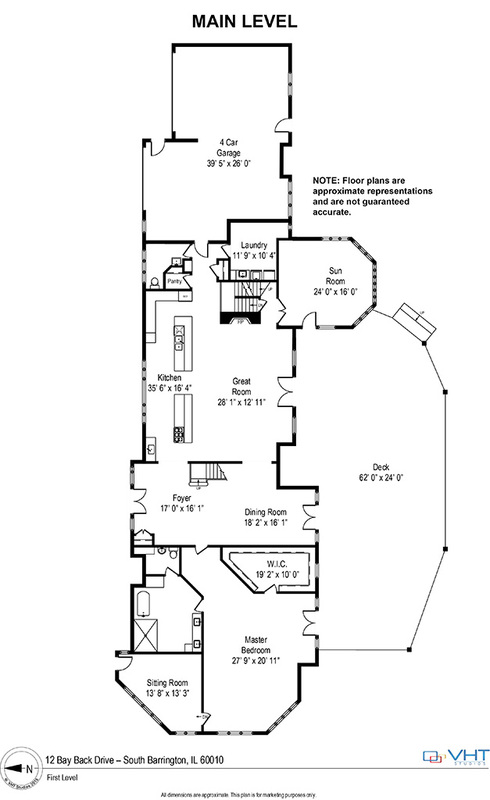 The spacious first floor master suite features wraparound water views, a large en-suite bathroom with etched glass detailing on the shower surround and a private water closet including a bidet. 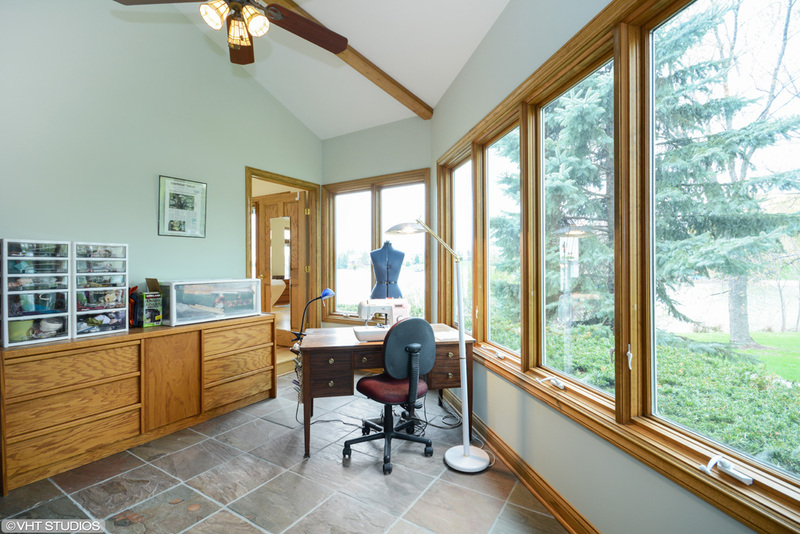 There’s an ample walk-in closet and even a private, sunken room that can be used as a workout room, office, library, art studio or whatever purpose fits your lifestyle. 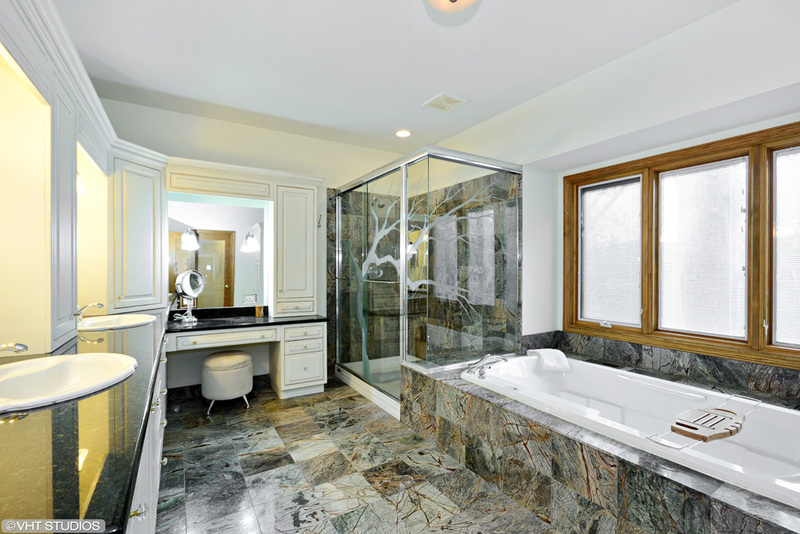 A powder room and laundry room round out the first floor, in addition to the 4-car, oversized, heated garage with a potting shed at the rear of one of the garage bays. 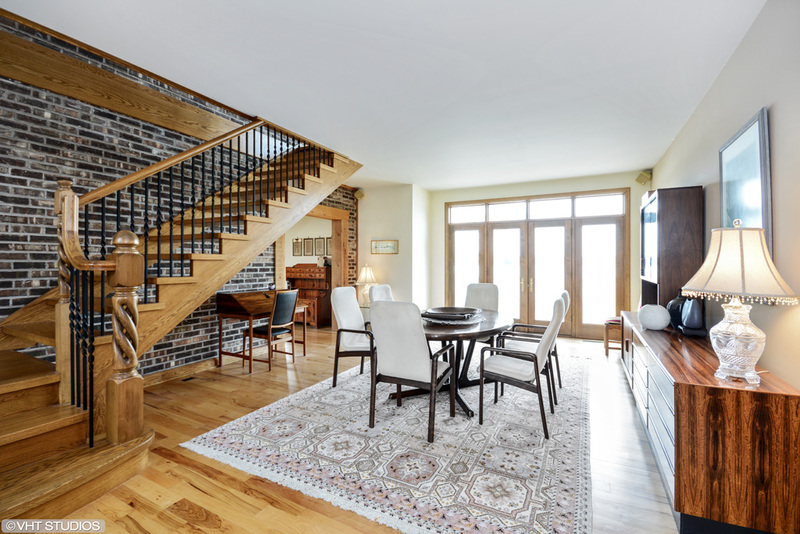 Take either of the staircases to the second floor and you’ll find that the views of the lake and surrounding nature continue in every room and space. At the east end is a second master suite with twin extra-deep closets, an en-suite bathroom and even a private rooftop deck / balcony. 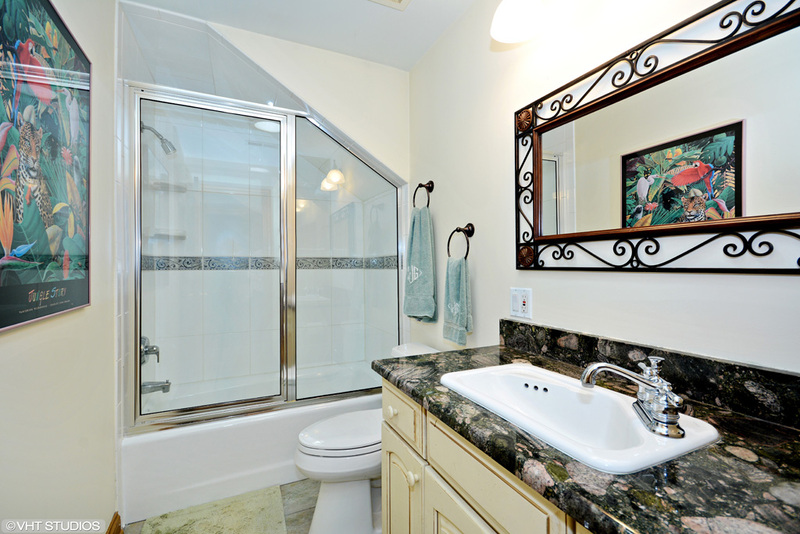 At the west end is a third bedroom for family or guests, a full bathroom, and an office. 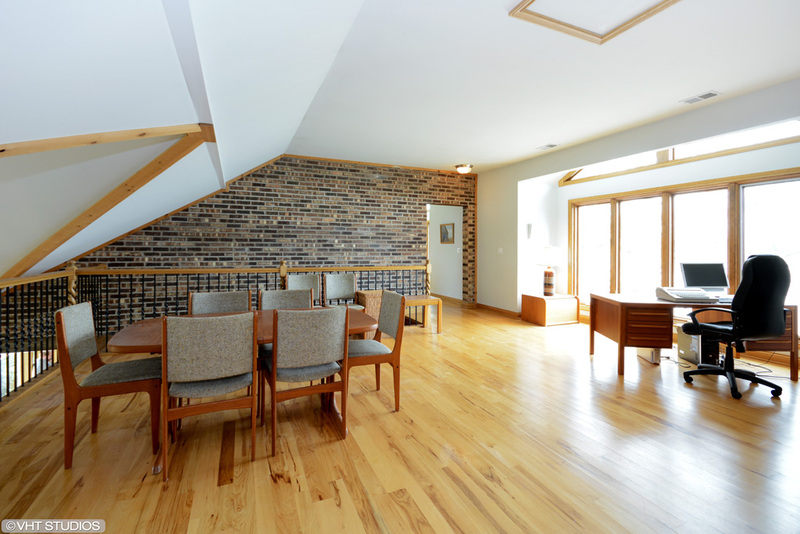 Connecting the two ends of the second floor is a huge loft that looks back over the lake and can be used as a music room, audio-visual entertainment area, a kids’ play area or a library, to name a few examples. 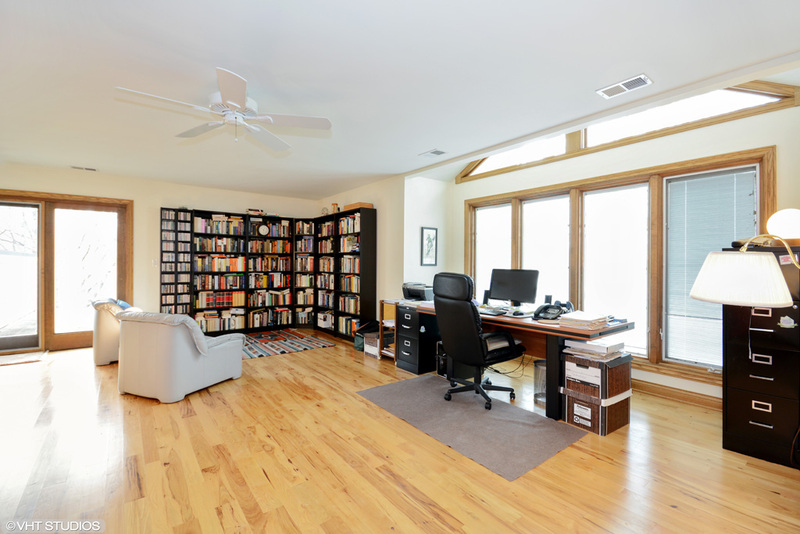 A second loft space can be used as a game room, open office or library. 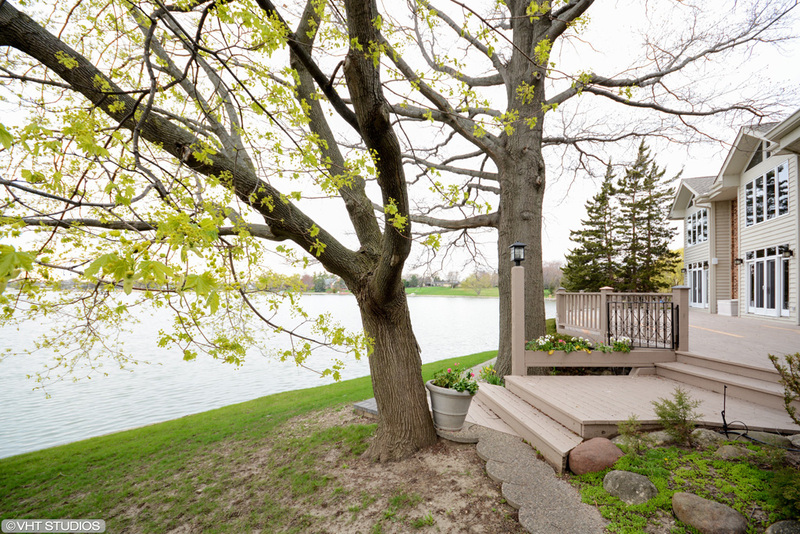 Outside, mature trees surround the home, offering shade as you stroll along the brick paver walkway that encircles the property on the water’s edge just beyond the massive deck. 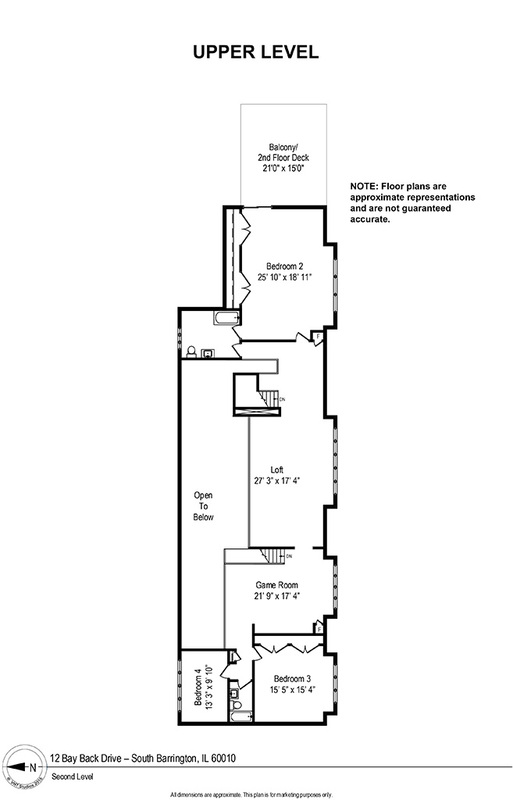 An exterior entrance below the deck enters into a storage cellar that also leads into the home’s oversized (and full footprint) crawl space, adding tons of storage, and offering easy access to the home’s mechanicals and 4-zone HVAC systems. 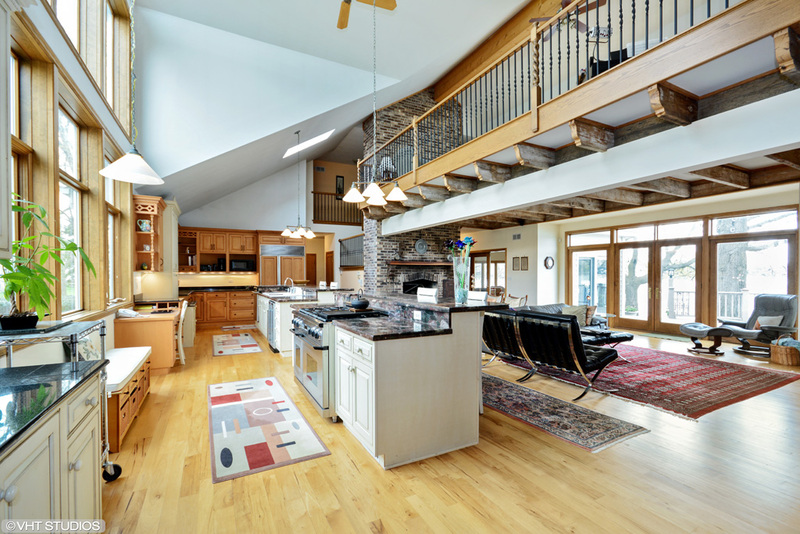 At the opposite end, an additional staircase leads back up to the main floor. 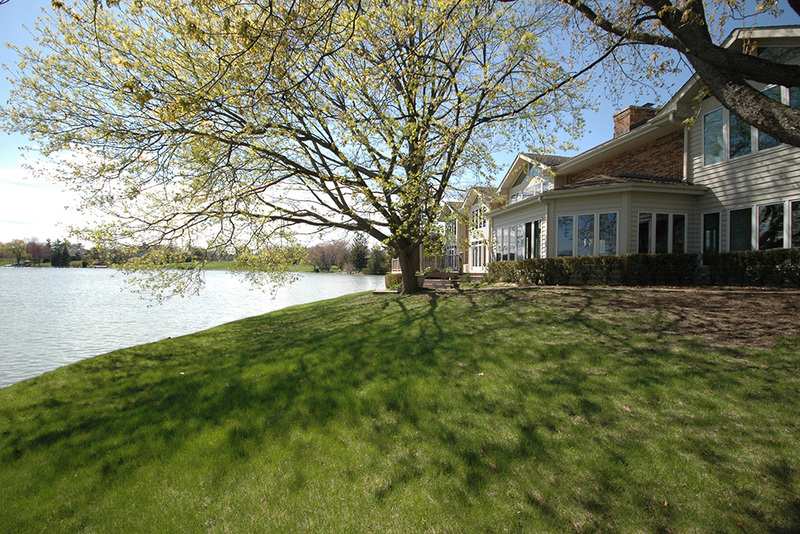 12 Back Bay Drive represents a unique opportunity to own and enjoy a very special home. It’s a thoughtful, purposeful departure from the typical and generic. 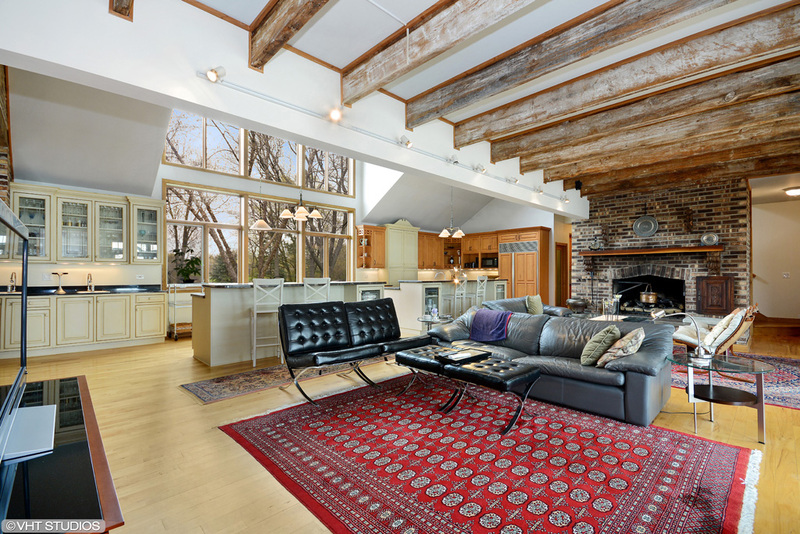 Instead, 12 Back Bay Drive affords livable, open spaces while surrounding you with nature and a peaceful tranquility that belies the home’s convenient proximity to shopping, restaurants, desirable Barrington schools and transportation.